By 2020 advanced mobile technology will be commonplace around the globe with smartphone subscriptions set to more than double. By 2020 advanced mobile technology will be commonplace around the globe: smartphone subscriptions will more than double, reaching 6.1 billion, 70 per cent of the world's population will be using smartphones, and 90 percent will be covered by mobile broadband networks. Findings from the latest edition of the Ericsson Mobility Report, shows that growth in mature markets comes from an increasing number of devices per individual. In developing regions, it comes from a swell of new subscribers as smartphones become more affordable; almost 80 percent of smartphone subscriptions added by year-end 2020 will be from Asia-Pacific, the Middle East, and Africa. 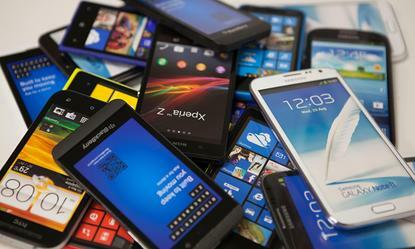 With the continued rise of smartphones comes an accelerated growth in data usage: smartphone data is predicted to increase ten-fold by 2020, when 80 percent of all mobile data traffic will come from smartphones. “This immense growth in advanced mobile technology and data usage, driven by a surge in mobile connectivity and smartphone uptake, will makes today's big data revolution feel like the arrival of a floppy disk,” says Rima Qureshi, Senior Vice President, Chief Strategy Officer, Ericsson. “We see the potential for mass-scale transformation, bringing a wealth of opportunities for telecom operators and others to capture new revenue streams. Qureshi believes that an expanding range of applications and business models coupled with falling modem costs are key factors driving the growth of connected devices. Added to this, new use cases are emerging for both short and long range applications, leading to even stronger growth of connected devices moving forward. Ericsson's forecast, outlined in the report, points to 26 billion connected devices by 2020, confirming we are well on the way to reaching the vision of 50 billion connected devices. Each year until 2020, mobile video traffic will grow by a staggering 55 per cent per year and will constitute around 60 percent of all mobile data traffic by the end of that period. Qureshi says growth is largely driven by shifting user preferences towards video streaming services, and the increasing prevalence of video in online content including news, advertisements and social media. When looking at data consumption in advanced mobile broadband markets, findings show a significant proportion of traffic is generated by a limited number of subscribers. Findings show that these heavy data users represent 10 per cent of total subscribers but generate 55 per cent of total data traffic. Meanwhile, Qureshi adds that video is dominant among heavy users, who typically watch around one hour of video per day, which is 20 times more than the average user.